Unlock Your Wealth Radio reminds citizens who to blame for taxes this season. Individuals and businesses are looking to put the blame on someone over their taxes, surprisingly you can steer clear of the Internal Revenue Service because it’s all politics this year. After all, it’s the nation’s elected officials who have passed all those tax laws over the years — for better or for worse. “We have come to use the tax system as if it is a cure for every social and economic problem the country faces,” said Michael Graetz, a professor of tax law at Columbia Law School who is a proponent of major tax reform. 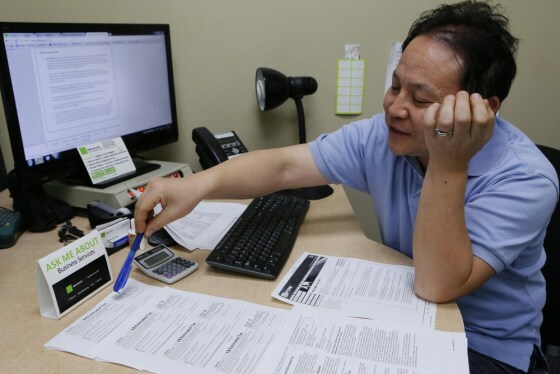 H & R Block public accountant John Lee explains how to file the 2013 1040-ES IRS Estimated Tax forms. If you’re puzzled by a complicated tax system, blame Congress, not the IRS. That’s not necessarily what the federal tax system was intended for when it was introduced about 100 years ago. But over the years, the tax system has evolved into something more akin to an octopus, with tentacles that direct social policy, help to stimulate the economy and try to encourage Americans to make choices like saving for retirement, going to college and owning a home. “The government is using the tax system — and provisions in the tax system — to encourage particular behavior on the part of the individual,” said Roberton Williams, Sol Price Fellow with the Tax Policy Center, a think tank. The tax code has now become so complex that few people can even do their own taxes without some outside help. 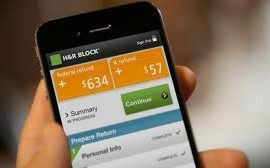 More than half of Americans use a tax professional, according to the IRS, and many others use tax preparation software. Meanwhile, almost everyone is fretting that they are somehow paying more than everyone else. “The complexity reduces people’s trust in the system,” Williams said. Almost no politician wants to say they are raising people’s taxes, but most politicians are thrilled to tell voters they are lowering people’s tax bills. Experts say that’s led to a dizzying array of tax breaks, including multiple, confusing tax incentives for the same thing, like paying for college. The tax system provides financial benefits to taxpayers at all levels, and it also has become a major way for delivering on social policies to help lower-income Americans. Instead of giving out cash aid, Williams said, politicians have increasingly favored providing a tax break, such as the Earned Income Tax Credit. There are plenty of advantages to that system. Many believe the EITC played a key role in getting more poor, single mothers into the workplace amid welfare reform in the mid-1990s, and the U.S. Census Bureau has found that such tax breaks help to keep a significant number of Americans out of poverty. But it also means that many people end up paying no federal income tax bill at all. 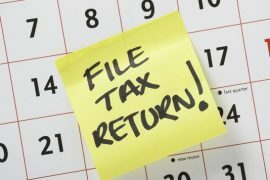 Williams estimates that more than four in 10 Americans will pay no federal income tax this year, although the share is expected to decrease in years to come. Those are mainly workers who are subject to payroll taxes, for things like Medicare or Social Security, but have zeroed out their income tax bill because of things like itemized deductions or the child income tax credit. The group also includes older people who don’t have much income beyond Social Security, plus very poor people. A very small group have other special circumstances, such as a hefty foreign tax bill, according to the Tax Policy Center. Still, Thorndike notes that many Americans don’t see it that way. Presidential candidate Mitt Romney famously blasted the then “47 percent” for being overly reliant on the government, and Thorndike said many Americans feel like they’re getting a raw deal if some people end up owing taxes, and others don’t. That’s one of many reasons experts often argue that the country is ripe for another round of comprehensive tax reform. “We’ve got a system that’s very badly broken,” Graetz said. Most would agree it makes sense to simplify the tax system, but actually doing so raises the incredibly fraught question of which tax breaks should get reformed away. Home offices? Education? Capital gains? “One man’s benefit is another man’s loophole,” Williams said. Still, many say that there would be clear benefits to at least cleaning up the tax system. For starters, it would save Americans money — and time — if they didn’t have to track down so many receipts and other paperwork, and then either slog through the forms themselves or pay someone to do it. It also might make people just a little less bitter about doing their taxes, and a little less suspicious that they are getting a raw deal. “The simpler the tax system were, the easier it would be to figure out there’s no good way to cheat,” Williams said. 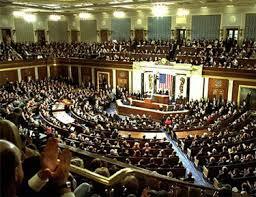 Still, experts say it’s unlikely the nation will see serious tax reform anytime soon. 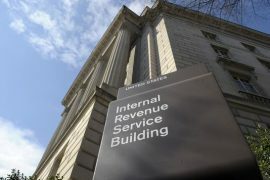 If anything, the IRS is likely to get more responsibility, because of its role in implementing the Affordable Care Act. That’s leaving the IRS doing even more — with less and less money, thanks to Congress’s decision to cut the IRS budget even further this year. Some say that’s the wrong way to make paying taxes simpler, and more palatable. “If you want the tax system to work better, you have to pay for it,” Thorndike said. Original article courtesy of www.nbcnews.com.